Welcome to the Largest Independently Owned Pressing & Restoration Co.
View our many professional comic services, testimonials and examples of our work. Not every press is equal, learn how to get the most out of every book. Submit to CGC/CBCS No Membership Needed 20% Discount! No fuss, no muss, we handle it for you at no cost, plus…. In a hurry? Fast Track is only 3 weeks! The comic book restoration experts! Our pressing and comic book restoration services can take your most important and valuable comic investments to the next level. Make your comic grow in value, increase in eye appeal, and most importantly preserve them for the future. Click on any of our services below for more information and example work. Comic book pressing is an affordable way to remove many physical defects such as creases, spine rolls, indentations, and severe bends & folds. We will examine your books prior to grading submission for grade consideration and a detailed expert restoration detection. Take that comic from zero to hero! 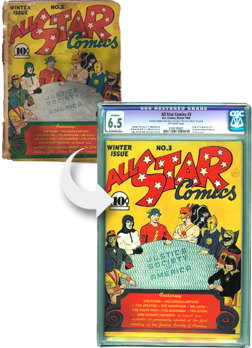 Our affordable comic book restoration includes tape removal, recreation of missing art & pages, color touch, and more. We offers both CGC and CBCS submission services as a convenient way of getting your books graded and encapsulated. Some comics just need a little love and a cleaning to jump a grade. We can remove surface dirt, pencil, and other light stains with ease. My name is Mike DeChellis, Owner and Manager of Hero Restoration LLC. 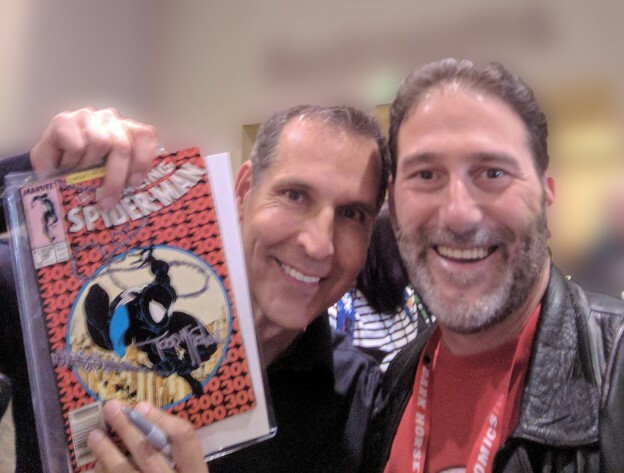 This all started because of my love for Gold, Silver, and Bronze age comic books – and of all the classic comic book covers I find that my eye is drawn to. Those done by such greats as Kirby, Adams, and Schomburg. Thanks to what I have learned, and what new techniques I learn, nearly no book is un-savable, even if major parts of the cover or pages are missing.